Château Latour à Pomerol is one of the leading Pomerol properties and is now run and administered by Jean-Pierre Moueix of Pétrus and Trotanoy fame. Latour à Pomerol consists of just under 8 hectares of vineyards split in to two plots: the first is known as Les Grandes Vignes and is located on a gravel outpost next to the Church of Pomerol. 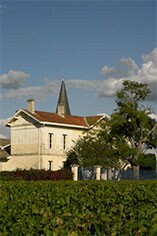 The second plot lies on sandy, lighter soils and is to be found on the western side of the Pomerol plateau. Latour a Pomerol's grapes (90% Merlot, 10% Cabernet Franc) are hand harvested and then fermented in temperature controlled concrete vats. The wine is then matured in small oak barrels (50% new) for 18 months. It is bottled unfiltered. 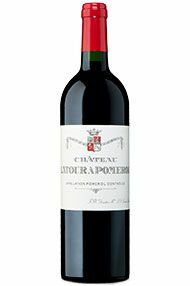 Latour á Pomerol produces sumptuous, meaty, concentrated and full-bodied Pomerols that often require at least 10 years of cellaring. In the context of other top class Pomerols they remain underpriced.